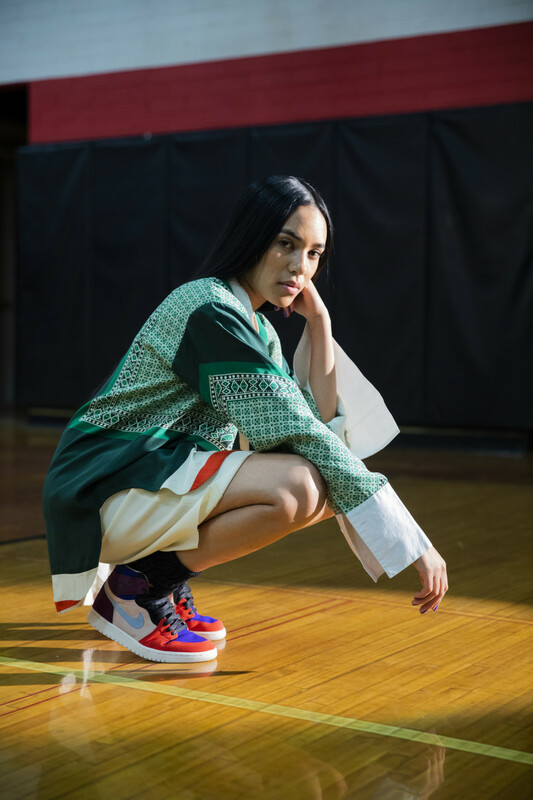 On the heels—er, soles—of her immensely successful debut collab with Air Jordan, Aleali May has teamed up with the sneaker brand once again. 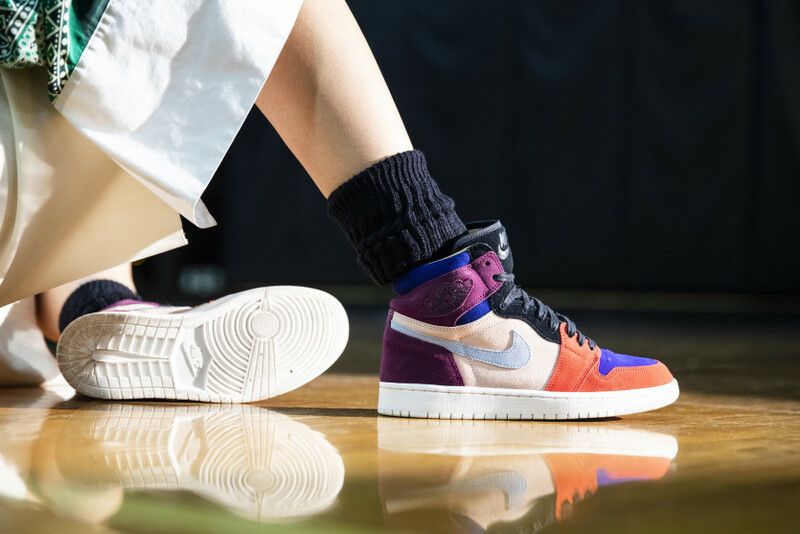 This time she’s joined forces with champion basketball player Maya Moore to launch a two-shoe pack—the Aleali May x Air Jordan 1 Court Lux High Top OG’s and Maya Moore x Air Jordan 10 Court Lux—in coordinating colorways that encompass the intersection of sports and style. Both styles will launch in North America on December 22, so mark your calendars. We were invited to Atlanta to hang out with May and Moore during their campaign photo shoot to chat about the inspiration behind their latest designs, the meaning in the details, and what they’ve picked up from each other in the process. Aleali May: “Jordan 1’s are kind of what I’m known for. As far as pairing high-end fashion with street wear, I’ve always loved the 1 silhouette. I’d wear this [pair] to a fashion show, or you can wear this in the street every day. I think the silhouette definitely fits any type of style, and there’s such a broad range for you to really dress something up. 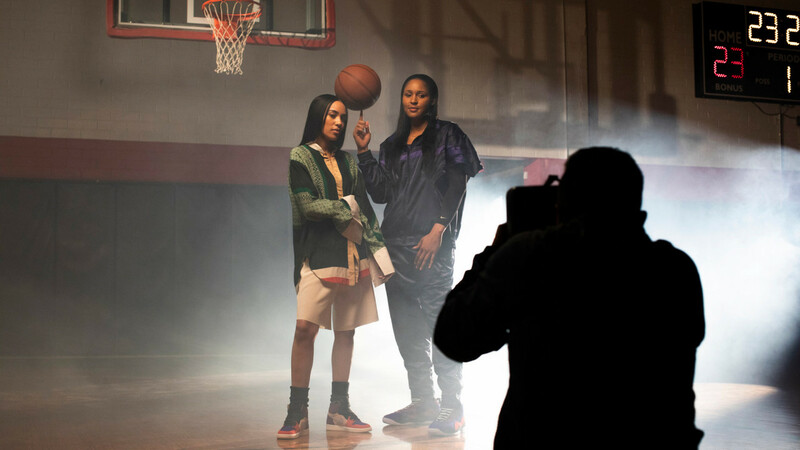 “This [shoe] is really just highlighting the collaboration between two amazing people coming from different worlds and trying to be the Jordan of our scenes, whether it’s fashion or on the court. We took a lot of our favorite colors and mixed materials to give you that high-end and street collaboration. I think it’s really something that not only girls are going to like, but also men are going to like, too. Love the faux fur. Was it part of the design from the get-go? How was this collab different? 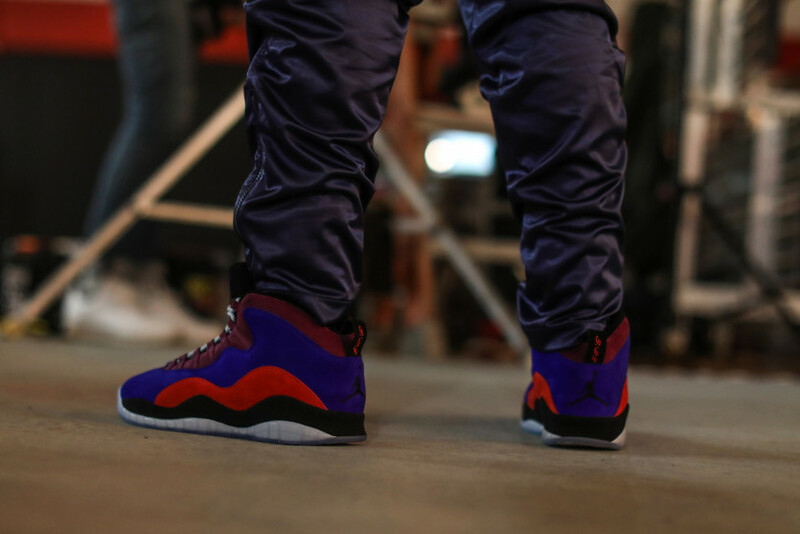 Do you remember your first pair of Jordans? Who is your dream person you’d love to see wear your shoe? There are so many little details in your design. Tell us a bit about them. 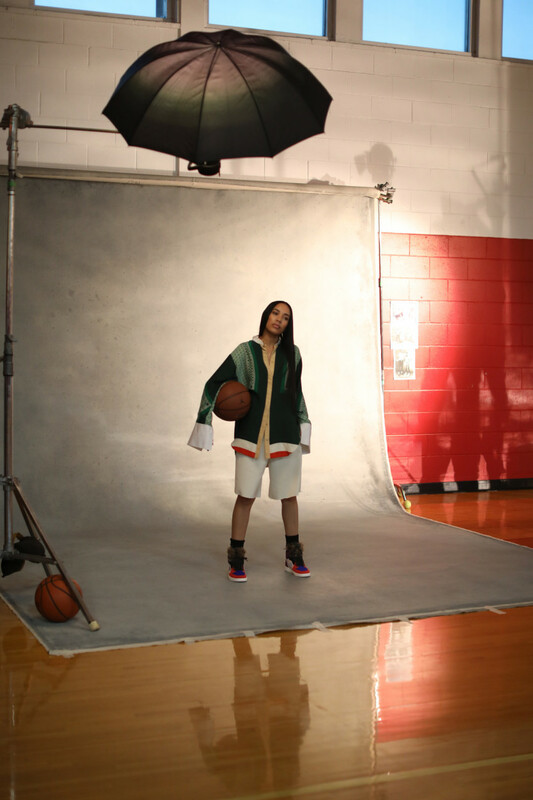 Maya Moore: “The 1’s and the 10’s are my personal favorites. I realized several years ago that the 10’s were the first pair of Jordans that I ever owned, so they have a special place in my heart. One of the elements of the 10’s that I can appreciate is it’s a storytelling shoe. It has the accomplishments on the bottom—I understand the life and the process and the struggle of what is in between those highlights on the bottom of the shoe—the whole story of working hard and preparing, of rising and falling, just the grind of the game and the joy of getting better and competing is all in the shoe. What is it about the 10’s that you love? 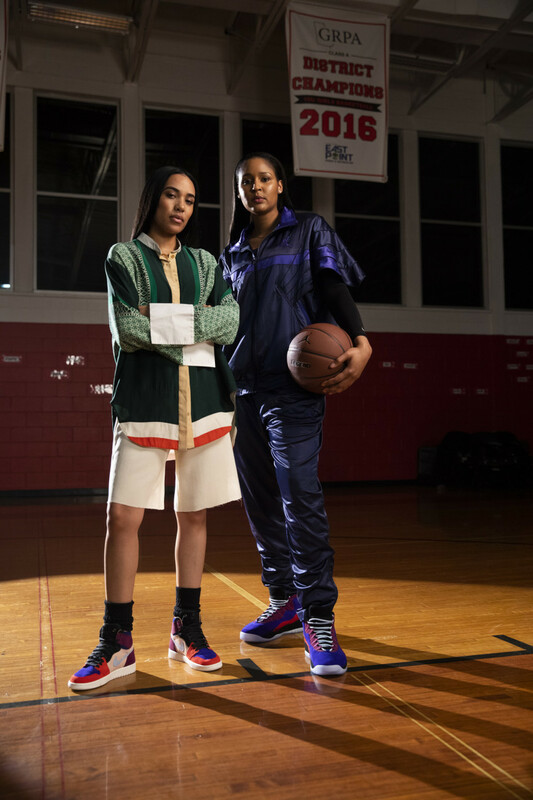 What’s been the best part of working with Aleali and Jordan Brand? Have you taught her any moves?